Some of the recipes below need a few months to sit — so for instance, don't start Cherry Liqueur on Black Friday. In order to give out your liqueur(s) as gifts, you will also need to gather up some nice bottles or jars, washed and sterilized, and some labels and ribbon. Specialty Bottle has a nice selection. You will also need some cheesecloth, usually found in grocery stores or canning sections of hardware stores. This will be for straining the fruits or nuts out of the liqueurs. Most need a cool, dark place for storage and aging, so you'll need to find a good/safe place in your kitchen or pantry. Let's start with Amaretto. If you like almond flavor, you probably would like this Amaretto recipe. I like the fact that it isn't over-the-top sweet. It can be served as dessert, along with a cup of coffee. It's also good over ice cream. I begged my friend for her recipe, and she shared her source. The photo below shows how nicely she bottled and labeled it. It was such a fun gift! My Uncle Bill made wonderful Kahlua, and he gave me his recipe, which I treasure. It is great on its own, or in coffee, or with a little added cream. Vanilla beans are pricey, but well worth the expense. 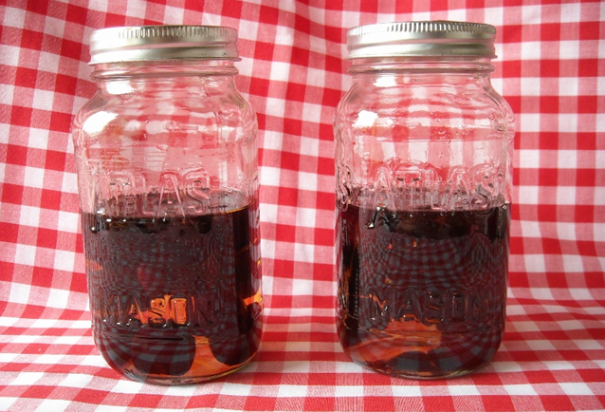 If you like cherry-flavored things, this Cherry Liqueur recipe will not disappoint. I could hardly wait for cherries to go on sale so that I could start this recipe. A little goes a long way! I think in my mother's day she'd have made a cocktail with this liqueur and either Coke or 7-Up and ice. Peaches are on sale now, and this recipe needs to age, so it's a great time to try this Peach Liqueur. My dad will love this, and remind of him of a time when he picked peaches as a teen outside Sacramento. The aroma is wonderful. This one's for Wise Bread's own Meg Favreau, who actually told me she has the makings for this already. If you can get some green walnuts, try Nocino — a spicy, sweet walnut liqueur. I also think this would make a wonderful Thanksgiving hostess gift. My pal Anne went to Italy and brought back a bottle of Limoncello for us. It's so refreshing, especially after a heavy meal. I don't believe I'll be traveling to Italy anytime soon, but that doesn't mean I'm deprived. Giada de Laurentis of the Food Network has a great Limoncello recipe. To keep your cost down, look for lemons at a farmer's market. My husband spent some time in Germany and suggested we try to make Apfelkorn, which he loved while he was there. Apfelkorn is technically a schnapps but he said this Apple Liqueur was a great substitute. 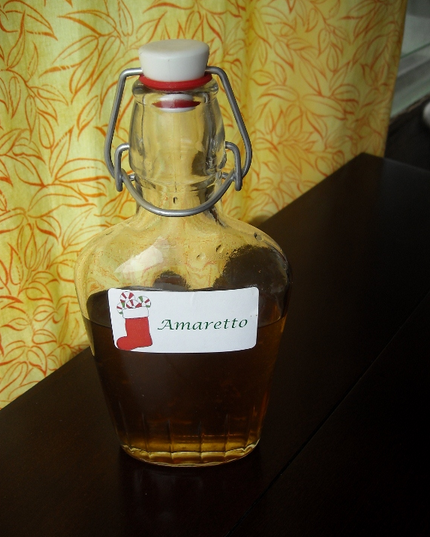 I love the flavor of licorice so had to try this Anisette recipe. Star anise stars as the licorice flavor, ably supported by vodka and simple syrup. If you procrastinated about making one of these liqueurs ahead of the holidays, don’t despair! You can still whip something up. What I love about this copycat recipe for "Bailey's" Irish Cream is that it doesn't need to be aged! It does need to be refrigerated, so be mindful of that. My first test batch was a major hit with the neighbors, who happily agreed to taste-test. There you have it — 10 ideas for gift giving, so you will be ahead of the Christmas Rush! 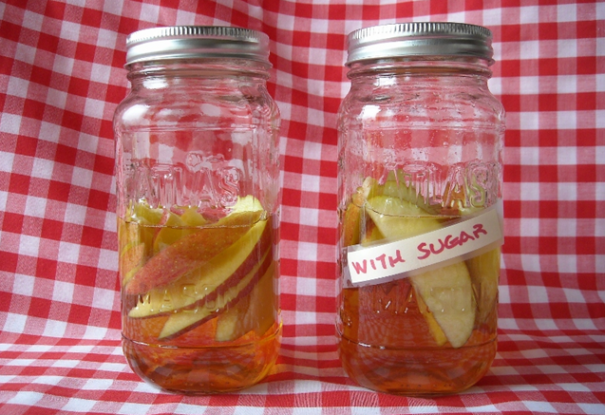 What's your favorite homemade infused liqueur? Love the article. Must make lemoncello! Well, you were the inspiration, you crafty thing, you. And yes, you must! Alicia, you are welcome and thank YOU! It really is fun. One quart of vodka (750 ml will do) 1/2 cup clear corn syrup, one teaspoon bitters (to taste) 1/8 to 1/4 teaspoon anise flavoring (again, to taste) and a couple of drops of green food coloring. Absinthe, or 'Le Fe Verte'. This is designed to be watered down before drinking, so enjoy.